The holidays may be over, but that doesn’t mean the giving has to stop! In 2015, you can help give moms the gift of entrepreneurship by helping to fund their project on Mumzy. Mumzy is new crowdfunding site especially for moms. For those of you who aren’t familiar with crowdfunding sites, I’ll explain. They are sites where people share their idea for a product, project, a business, or even a charitable cause, and try to raise money for the endeavor through donations on the site. And apart from giving moms the ability to raise money for their projects, Mumzy also provides them with with other support and resources, so they can grow their business, even after their fundraising goals have been met. The site was founded by mom and marketing expert Catherine Merritt. Mumzy sees moms as some of the most innovative and inventive entrepreneurs and hopes to help this underserved population. I love this idea. I’m a big fan of small businesses, and I applaud all women, especially mom’s, who are trying to better themselves through a home based business or other entrepreneurial efforts. As someone who makes money through my blog site and Etsy shop, I know all about the limitations and restrictions a lack of funds can put on your business. And I know so many people out there are just like me. They have great ideas and are only limited by time and that little thing called the almighty dollar! Without crowd funding a lot of us have no choice but to do what I’ve done, which is to build a business very slowly. But still more people will be forced to quit due to financial constraints, and some may not start the business at all! 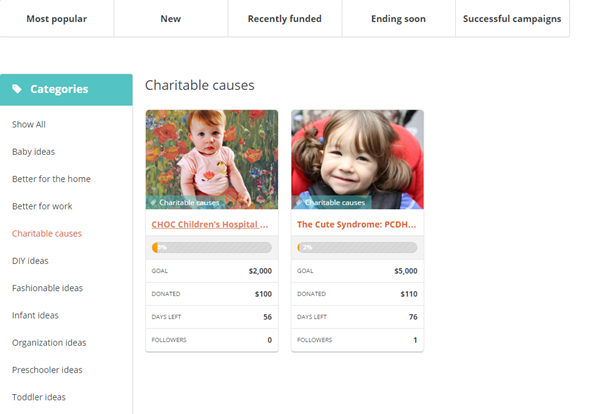 Another great thing about Mumzy is that it allows for fundraising for charitable causes. Currently there are two charitable projects to donate to. 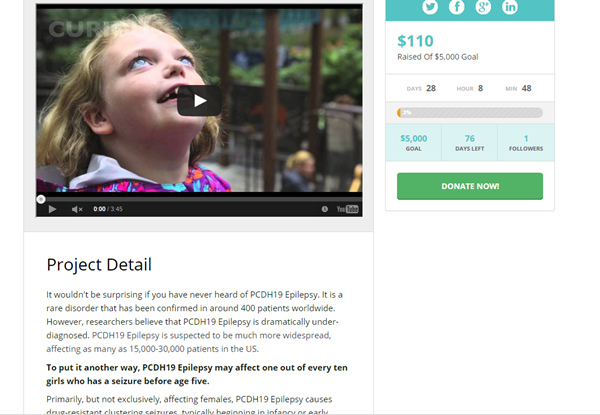 One is for PCDH19 Epilepsy Research Funding and the other is for the Choc Children’s Hospital. Mumzy is still a new site, and they are very excited for you to be one of the first members of this growing community by posting a project or helping to fund another member’s project. To encourage this, one of the first 100 people to post a project will win $1000 toward their funding goal! Mumzy also invites you to give feedback and make suggestions on how they can make the community better!